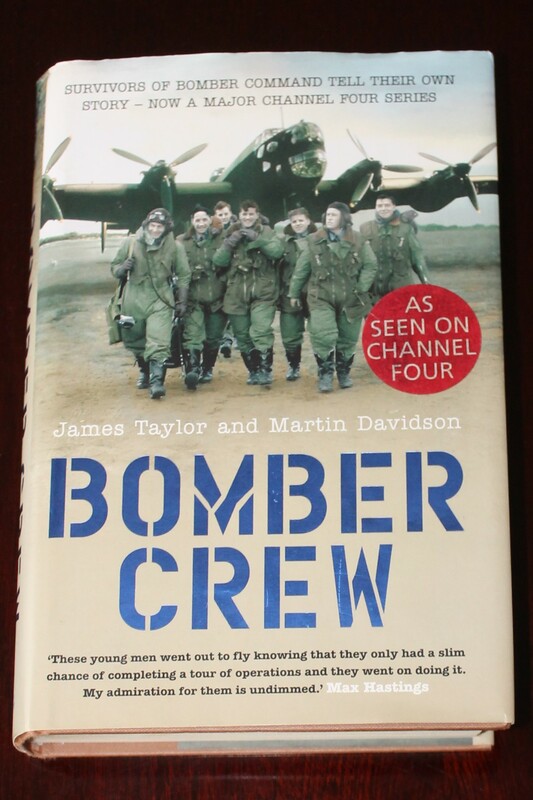 “BOMBER CREW” book signed by Air Commodore Charles Clarke, President of the Royal Air Force Ex-Prisoners of War Association and Chairman of Bomber Command Association. Charles Clarke was shot down over Germany and imprisoned in the camp from which 76 prisoners tunnelled out in the “Great Escape” – Sagan [Stalag Luft III] in Poland. He later took part in the “Long March” of British PoWs who were ordered to move great distances across Germany in the last months of the Third Reich. After the war, he stayed in the RAF, reaching the rank of Air Commodore. The book: Hodder & Stoughton, 2004 – World War, 1939-1945 – 472 pages. Long after the Battle of Britain, the aircrews of RAF Bomber Command risked their lives night after night during the Second World War. Over 55,000 of the airmen never returned from these missions; a further 10,000 became prisoners of war. And yet Bomber Command has been mired in controversy and its veterans – all volunteers – have never been awarded a campaign medal. Their crucial contribution to the outcome of the war has all too often been overlooked. “BOMBER CREW” exposes the bravery of these men using gripping first-person testimony from the surviving pilots and crew. For them this was a time of incredible hardship and adrenaline, courage and friendship, and their stories bear witness to the strength of the human spirit in times of incredible danger. Never before has their story been so vividly told. This is also a revealing look at the history of Bomber Command itself, from the early days through to eventual victory in 1945. From the terrifying action of the bombing raids to the intimate personal accounts of heroism, tragedy and triumph, this is the ultimate account of these brave men and their contribution to the Allied victory.